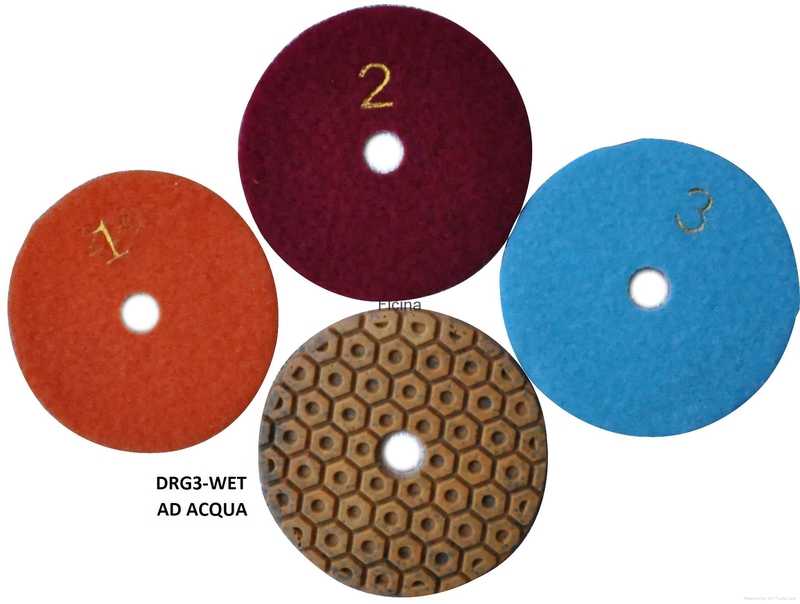 Specifications︰ soft polishing pads, only 3 steps (Grit), wet or dry, save your time and money. 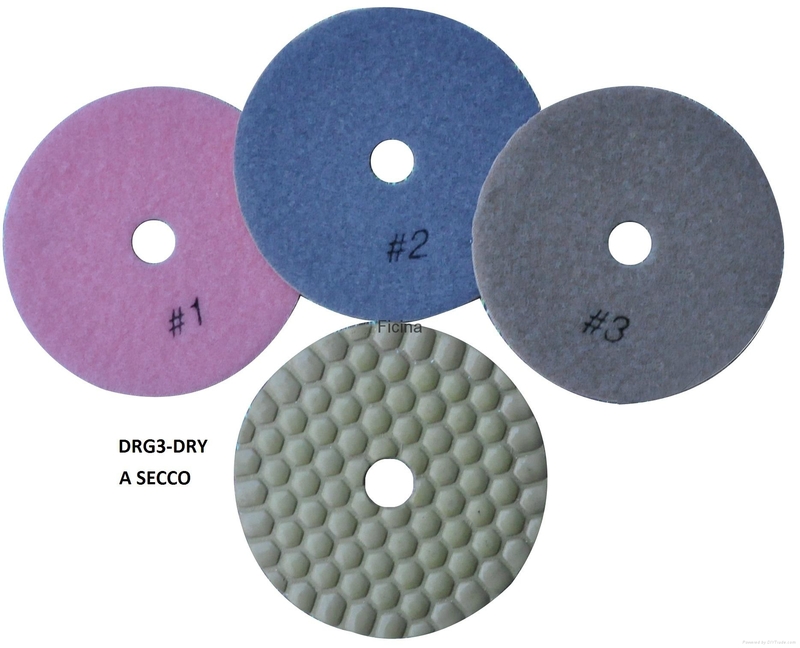 First Step(grit) is sintered diamond ,most fast, the 2 step and 3 step are very soft to make sure the good finishing. Advantages︰ 3 fasi dischetti resinoidi diamantati flessibili. a umido o a secco.